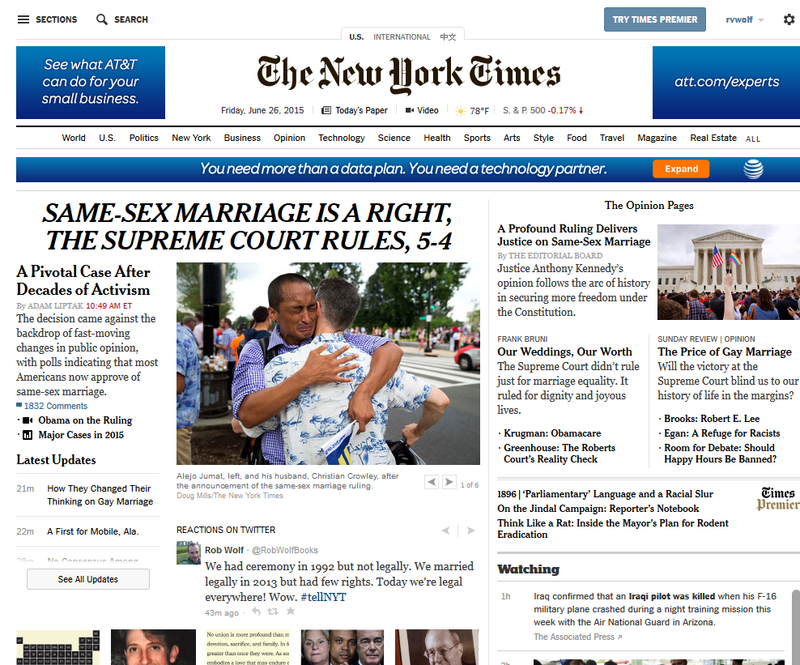 I captured this image on June 25, 2015 to memorialize the moment when one of my Tweets scrolled across the front page of http://www.nytimes.com. It was exciting in the moment but also fleeting. Now as I look at it, combined with the headline, I feel like, ever so briefly, I participated in history.